except there was one more picture to the right that didnt stitch - does that mean it was taken improperly? about what is the best amount of overlap to use? Here is what I've noticed regarding the overlap between the individual pictures. If I use the panorama setting on my camera (Canon), the pictures have a large overlap (almost 50%). This works well with AutoStitch. I think one of the reasons that the results are nice, is that with the large overlap, if your individual pictures have any vignetting around the edges, the software has enough overlap to avoid using that area of the picture. 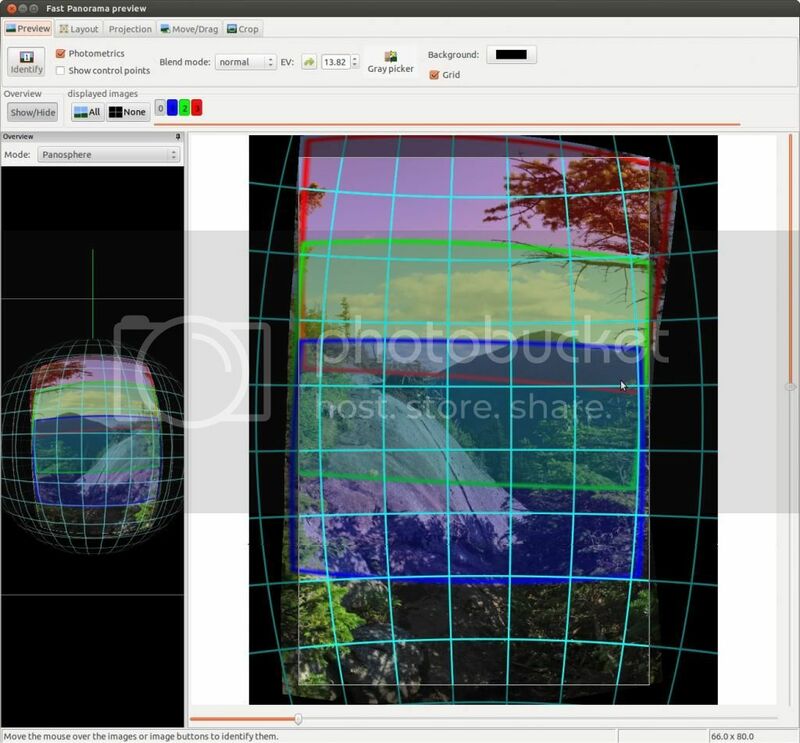 PhotoShop's photomerge doesn't like the large overlap, and won't automatically create the panorama. But there is a manual mode that allows you to arrange the pictures yourself, and once you have the general overlap lined up, PhotoShop figures it out and does the "fine tuning". I have also played around with pictures that I took that were not in panorama mode, that had a much smaller overlap. With these pictures, AutoStitch wouldn't create the panorama, but PhotoShop worked without an issue. So, I guess my advice is if your camera has panorama functionality, use that, if not overlap your pictures quite a bit for better results. 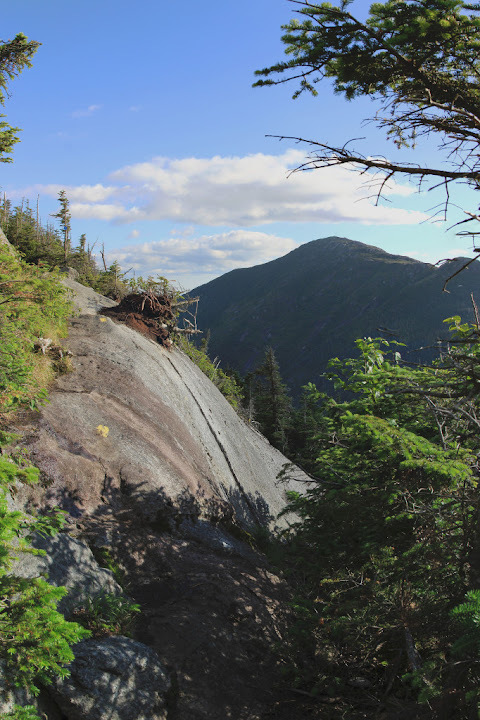 Hikersteve, this is about the best post on the subject of overlapping and autostitch. 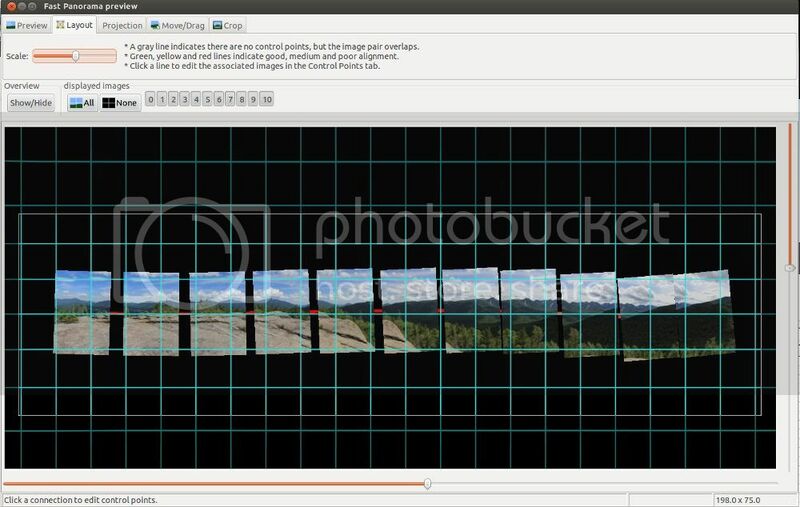 The requirements for images to work in autostitch is trail and error. We're trying to figure that out now . great shots. expecially the rocky mountain view. where were they taken? is that first one a sunset or sunrise? I'm guessing sunset. 2) Glacier Valley on the Keyhole Route, Longs Peak. A side effect of overlap is better exposure consistency in uneven scenes. You can compensate for this by adjusting exposure during the shots and overlapping by quite a bit to get more even transitions. 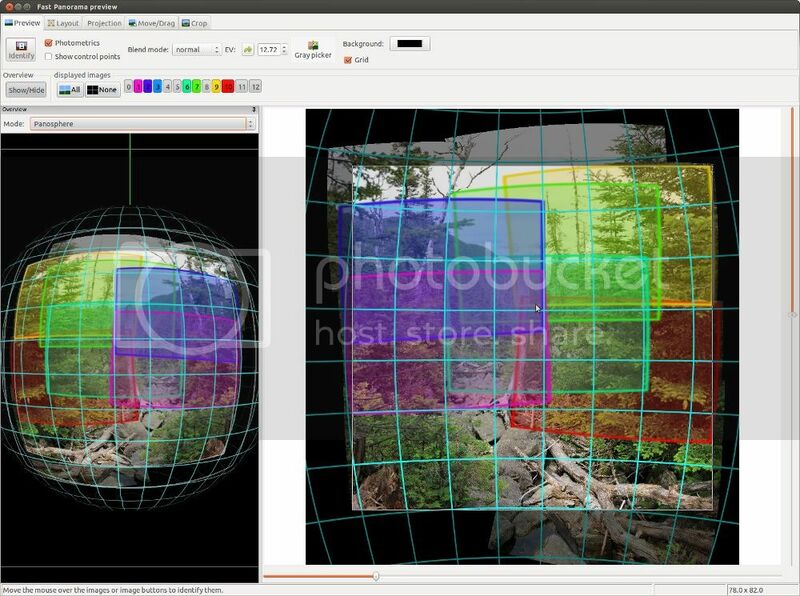 I don't use autostich but I've found similar high overlap to merge issues with all programs. I assume autostitch has a manual point alignment? If so, it's more work to line them up yourself but the end result is a flawless image. An example of a high overlap image that still didn't quite work out perfectly as the variation between light and shadows was just too extreme. I did 30% overlap and 25+ vertical shots. This ended up being a 750MB image and about 40 Megapixels. However, here is a good example of overlap working...the field while apearing evenly lit really has a 1-2 stop difference in spots. If you are shooting evenly lit scenes there isn't a real compelling reason to overlap by a lot. I'd think 5-10% is plenty. Closer to 5% if you are using a tripod since your shots should be level. Wow - these are truly phenomenal pictures. Thank you for sharing! I've been using the program called Hugin. its one of the few options for Linux (also windows, not sure about mac) but its a very powerful tool. Way better than canons stitcher that I used to use a lot (though canon's photostitch was a bit easier). The defaults and automated functions work pretty well but this software has a ton of manual adjustments and features, and can do HDR, tiffs and all sorts of formats. The only thing I think is fiddly for the average user is it sometimes projects the image all funny and you might have to rotate or move it around to get it straight and level. Advanced users will probably really like it compared to other freeware. I use Microsoft's photo viewer, which is free and has a built in panorama stitcher. Tip: When taking panorama shots, flip your camera to the "portrait" orientation. You'll need to take more photos to capture the same panorama, but by doing this you'll capture more space at the top and bottom of the panorama, which gives you more options when cropping the image later. That is an awesome tip I never would have thought of. Will definitely be trying it out the next time I'm taking panorama shots. Thanks! I suppose I should credit Carl Heilman for this piece of advice. I read it in a book of his on outdoor photography. Yeah, but don't limit yourself vertically to just what your camera can take in portrait orientation either. You can take multiple rows of photos, one over top the other, to get more height if that is desired. There is no limit really (well unless whatever software your using is limited, but most good software like Hugin can handle anything, including entire 360 degree globes). Thats the one from earlier (I said 10 pictures, but its actually 11 since it starts counting at 0) in Hugin's preview window. I set that to identify the images in the preview so its highlighting the images my cursor is over, to kind of show you how they overlap. I can't take credit for that one though, just a random google image search since I have never done it. Though now I have a 10mm lens I might give it a try sometime. 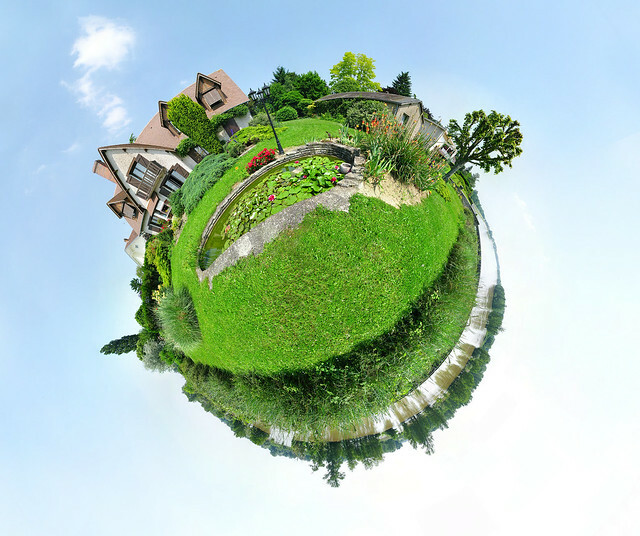 With my 24mm (38mm equiv on a crop sensor) it would take a crazy amount of images to complete a globe. Last edited by Adirondackiteer; 01-15-2014 at 12:06 AM.. I've been using the program called Hugin. One problem I've had with Hugin is that sometimes it won't auto-stitch if I'm doing a pano of mountains/wilderness in the distance but in the foreground there's some pesky bushes/trees/brush. I then need to manually add the control points on overlapping images (and always save before attempting to create the pano) and fiddle with it a lot until hugin understands what's going on. E.g. if I do a pano from the cab of a firetower or from the edge of a cliff it works fine, but if I do it at the base of the firetower or from an non-bald mountain with brush, then it has issues. I think some of this is depending on the FoV on my lens and the stuff in the foreground being more distorted than Hugin was expecting to be possible. One other thing I've been working on with Hugin is trying to balance how wide and high to go with the pano's. I started out trying to do a bunch of 360 and 270 degree panos which is fun and all, but viewing them really isn't that effective. I've had better luck keeping the panos to what would only be 2-3 normal frames wide and made of maybe 6 shots or so instead of going many frames wide and using 20+ shots.